Sending test messages from your phone doesn’t seem to be a difficult task at all. You just have to type in the text, enter the recipient’s number and hit send. You will get a message delivery report as well once the other person receives it. This process is so simple and even kids can perform it easily. If your gadget is not the simplest one to use, then some of the old fashioned people might struggle to operate these functions properly. Despite that, sending text messages is a common practice and most people perform it with ease. Even if they have a multipurpose gadget like the iPhone 3GS, they do not find it hard to follow perform this task. However, sending a picture through the Multimedia Messaging Service on your iPhone 3GS might not appear to be the easiest of functions. Imagine you have just taken a picture of your newly born baby and want to share it with your friends and family immediately. What is the fastest way of doing so? Well, the answer is quite simple; you just need to send it via MMS, as all the recipients will get it immediately. 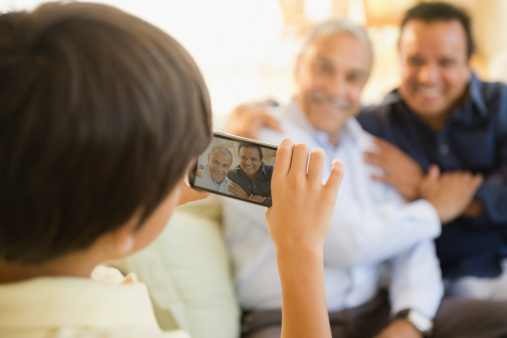 Some people might prefer posting the photo on a social networking website such as Facebook or Twitter, but you cannot be sure whether all your family members will be online to view it at that time. So, the best way of sharing the picture will be to do it through MMS. It does not take much time and within a few minutes, you will be able to share some good memories with the people you love. From your iPhone 3GS, go to the main menu and you will find the option of ‘Messages’ in front of you. Simply tap that option and you will see a few other icons. Out of the options available on screen of your iPhone, hit ‘New Message’ and you will be directed to a new window. There will be a camera icon appearing on the top of your screen. You need to hit that to get a couple of more options. You will be asked either to take a new photo or to select from the existing ones. Select the desired option to move forward. Finally you can click the ‘Send’ option, after entering any text if you want and the recipient will get your MMS.